IM IN THIS WEEKS SHOUT MAGAZINE! 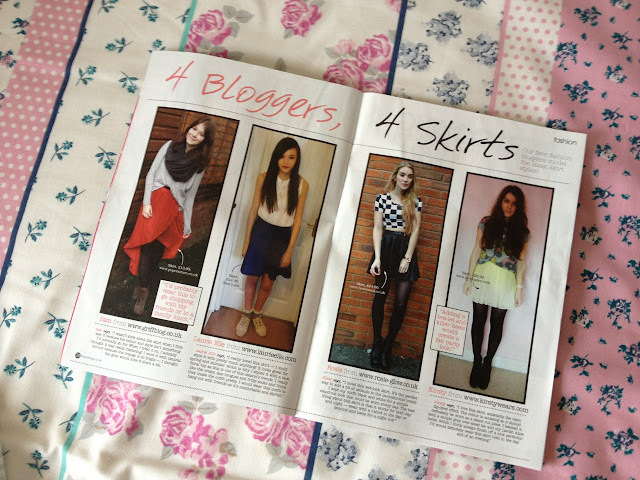 Myself and three other bloggers were sent a skirt to style. I got sent a New Look Denim Skater Skirt which I really love! 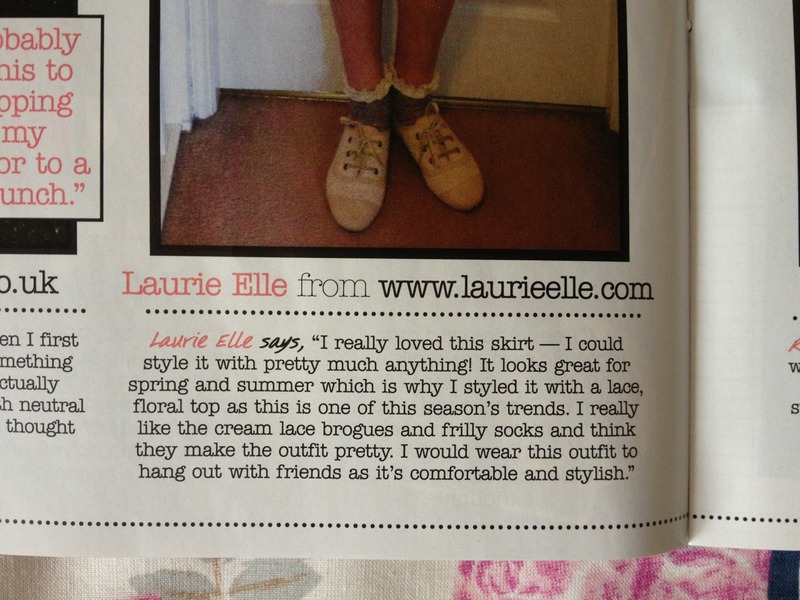 I styled it with a lace Peter Pan collared tshirt from Topshop and frilly socks and lace brogues. What would you style with this skirt? I had fun doing this for Shout, check it out if your nosying in shops! This is the second time I've been in Shout! Hopefully, I will get more opportunities like this!